In addition to exclusive private yacht charters Ultra Marine Yacht Charters can arrange corporate yacht charters. For business presentations, executive rewards or confidential discussions, nothing else has quite the kudos of a luxury yacht. Secret, secure and very special. 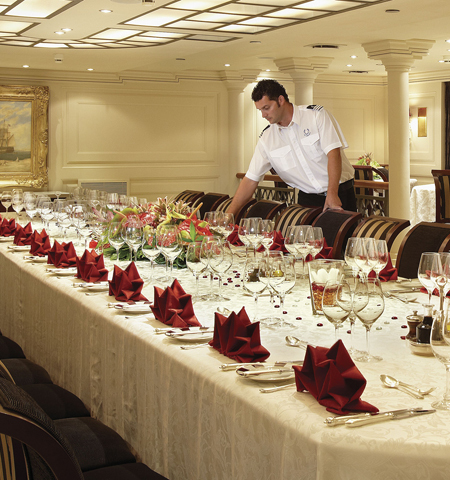 A private yacht is the perfect environment for business discussions, client entertaining or incentive rewards. The very latest communications equipment enables you to keep in touch with your office and family. We will organize the entire operation, arranging connections to the yacht and overseeing every detail. We have a list of events worldwide, that could coincide with your yacht charter and we would be happy to organize your itinerary. These events include: The Monaco Formula 1 Grand Prix, International Cannes Film Festival, The St. Barth Bucket, MIPCOM or MIDEM. There are so many exciting ideas. Choose from one of our prestigious yachts and enjoy a corporate sailing expedition to a specific destination, event or region. Corporate yacht charters are a great way to build team bonds as well as impress potential or current clients as impeccable service and ever changing scenery inspires and impresses those onboard. Corporate sailing is a great way to boost company morale and teamwork.